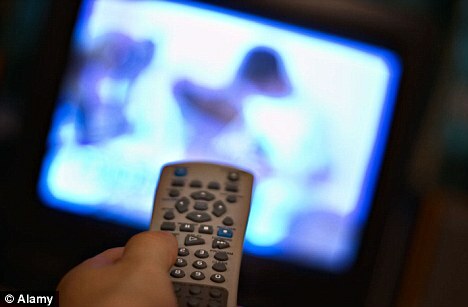 TV viewing poses greater risk than computer use for cardiovascular disease ~ Health Matters Today! Physical activity will definitely lower children's chances of developing cardiovascular disease down the road, but physical inactivity will not necessarily increase it. Findings from a recent Queen's University study shows different kinds of sedentary behaviour may have different consequences for young people's health. "Even if a child is physically active, this activity is really only making up a short period of their whole day, so it's important to look at other aspects of their day to see what's going on. Part of that is the kind of sedentary behaviours they engage in," says Valerie Carson, a doctoral candidate in the School of Kinesiology and Health Studies at Queen's. Previous research has identified high volumes of sedentary behaviour as a risk factor for cardiovascular diseases in adults. But among the children she surveyed, Ms. Carson found no general connection between the volume of sedentary behaviour and the risk of developing diabetes or coronary heart disease. Instead, she noticed some types of sedentary activities having a greater impact on children's health than others. Specifically, high levels of TV viewing predicted higher cardio-metabolic risk, whereas high computer use did not. One possible explanation is that TV viewing falls near the bottom on the scale of energy expenditure, according to some research. Another is that activities like snacking between meals that usually go hand-in-hand with specific kinds of screen times may be causing the associated health risks. "The take home message is that we want children to be more physically active, but then, at the same time, we need to think about what they're doing the rest of the time," explains Mr. Carson. "Our study suggests we should also limit children's television viewing time." This is an excellent blog post.Your blog is really great and helpful for heart patients.Your choice of words is excellent.Thanks for sharing.